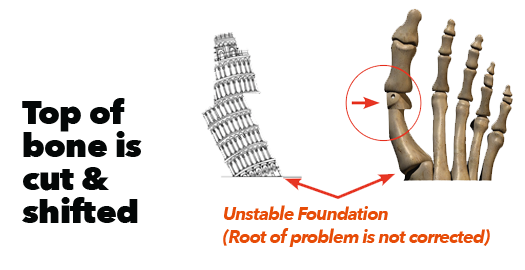 Fix the Root Cause. 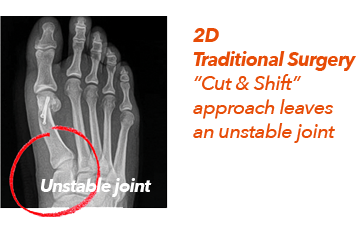 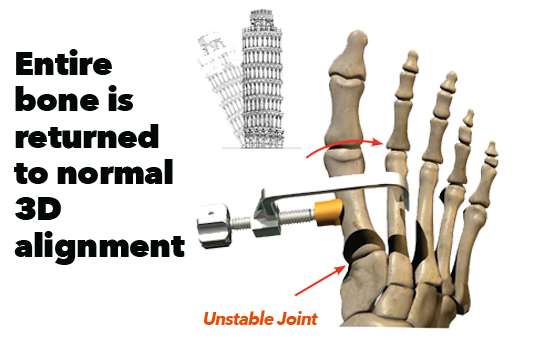 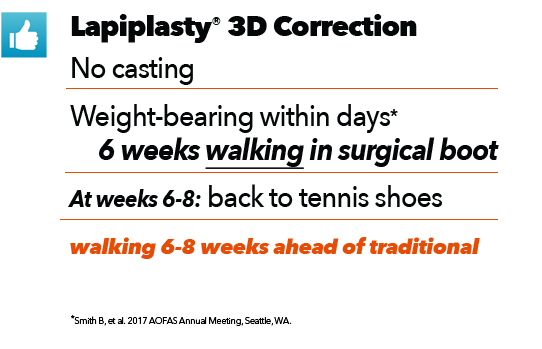 Walk Within Days of Surgery.1 Learn More About 3D Bunion Correction. 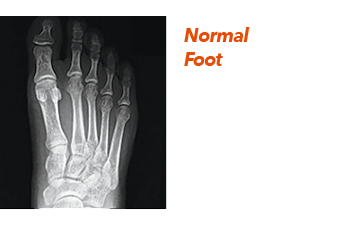 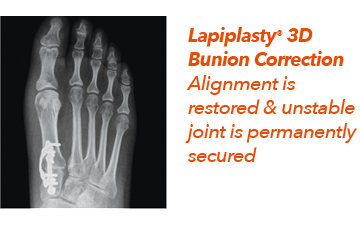 The Lapiplasty® Procedure utilizes two low-profile (petite), anatomically-shaped titanium plates to permanently secure the unstable foundation of your corrected bunion. 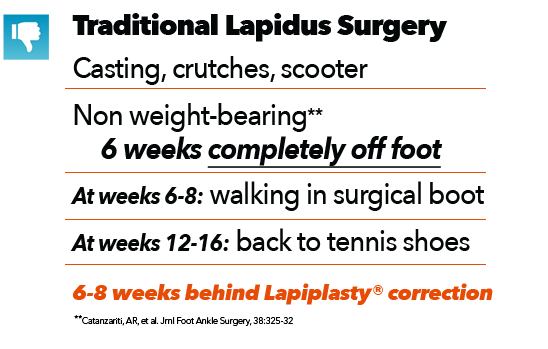 This provides buttressing on multiple planes and allows you to walk within days of surgery.1 Think of this in terms of how a basketball player might hold a basketball. 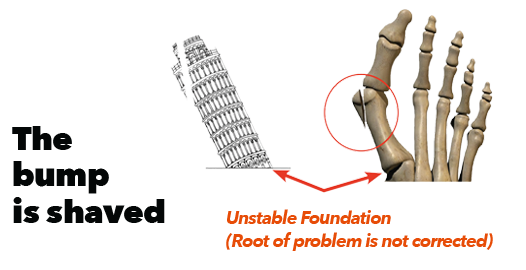 When a player tightly grips the ball with both hands, the ball is held more securely than if only one hand is used. 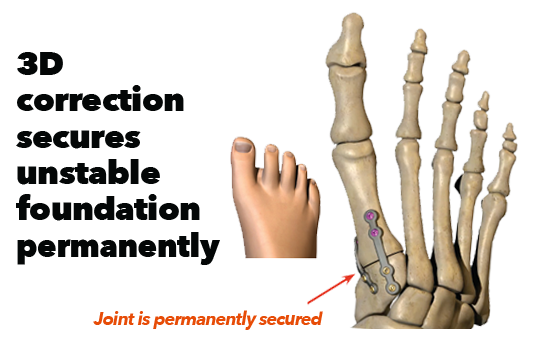 The patented titanium plating technology used with the Lapiplasty® Procedure enables patients to bear weight on their foot early.1 The ability to do so can dramatically improve your recovery process, allowing you to walk up to 6-8 weeks earlier than with the more traditional Lapidus approach (which was previously the only option for addressing the unstable joint).